We dance on the third Friday of each month (except July and August.) Dances are Mainstream with a half an hour of Plus. We offer a beginners class every year at the East Brook Middle School in Paramus, NJ. Classes are taught by local caller Paul Ingis and are well attended by current club members as ‘angels,’ so every square has both experienced dancers and beginners; it’s a lively evening. For more information call Pat and Tom at 201-955-1495. Dances are the third Friday of the month unless noted. No dances in July and August. Mainstream 7:30-9:30 PM; Plus 9:30-10:00 PM. Cost is $5 for members and raiders, $6 for guests. Please wear soft-soled shoes. (1st Friday) Fran Wadel Student Dance: All students pay $2. 6/21/19 Jonathon Weiner (NY) Ice Cream Social. 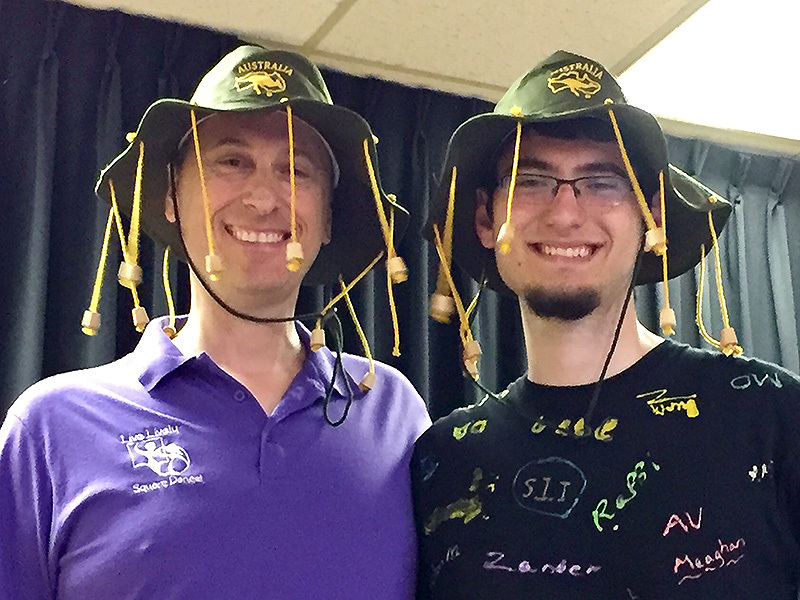 Help celebrate Jonathon's High School graduation! 9/17/19 Paul Ingis FREE Dance Party/Open House. All welcome! 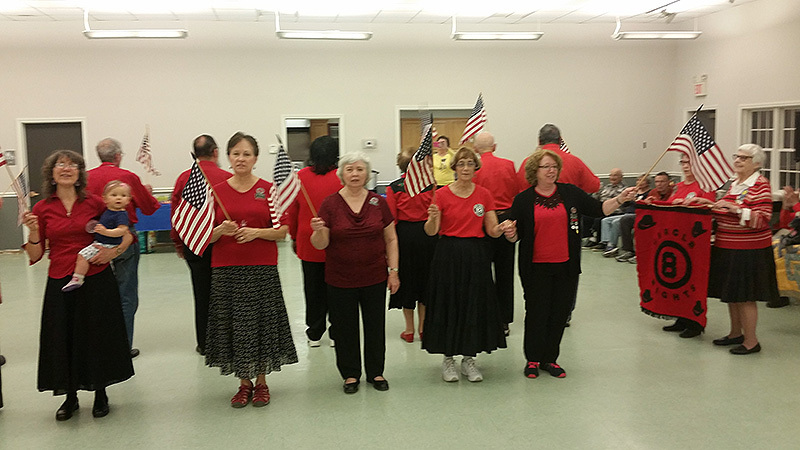 Introduction to square dancing for students interested in taking our Beginners Mainstream class. Location: East Brook Middle School, 190 Spring Valley Rd., Paramus, NJ 07652. 9/24/19 Paul Ingis FREE Dance Party/Open House. All welcome! Introduction to square dancing for students interested in taking our Beginners Mainstream class. 11/15/19 Howard Richman Bring a food donation for a chance to win a free dance. The Hillsdale United Methodist Church is on Hillsdale Ave. between Broadway and Kinderkamack Road. The church is at the corner of Magnolia Ave. across from the George White Middle School. Their parking lot is on Magnolia Ave. The nearest major highway is the Garden State Parkway. From GSP NORTHBOUND take Exit 168 and turn right onto Washington Ave. At the first traffic light turn left onto Pascack Road. At the next light turn right onto Hillsdale Ave. Proceed as below. From the GSP SOUTHBOUND take Exit 166 and turn right onto Highland Ave., then immediately right onto Linwood Ave. Linwood shortly ends at Pascack Road; turn left and go about a mile and a half until it crosses Hillsdale Ave. Turn right onto Hillsdale and proceed as below. From Route 17 North take the 'Washington Township/Hillsdale/Westwood' exit onto Van Emburgh Ave. Follow Van Emburgh about a mile till it crosses Washington Ave.; turn right onto Washington. You will cross the Garden State Parkway; at the first light turn left onto Pascack Road. At the next light turn right onto Hillsdale Ave. and proceed as below. Once you've turned onto Hillsdale Ave., drive about a mile; you will cross railroad tracks and go through the Hillsdale business district. The church is in the second block after you cross Broadway. Make a right turn onto Magnolia Ave. to access the parking lot. For help with directions on dance night call 201-446-1703. 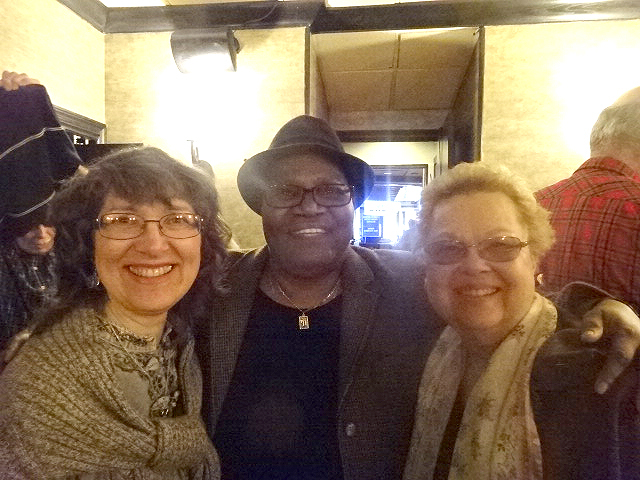 Circle Eights sponsors a beginners Mainstream Class every year; classes meet on Tuesdays at the East Brook Middle School, 190 Spring Valley Rd., Paramus, NJ 07652, from 7:30 to 9:30 PM. The teacher is local caller Paul Ingis. Classes will begin September 17, 2019. 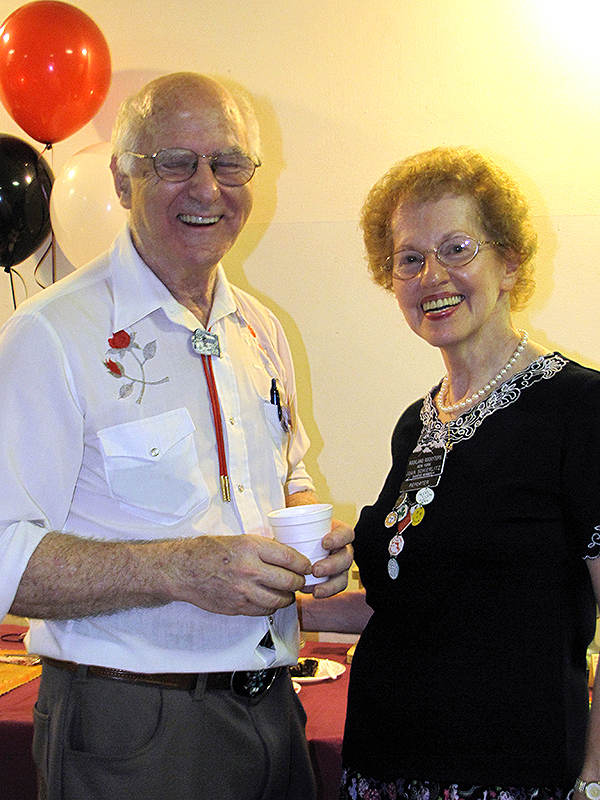 The first two dates, September 17 and September 24, 2019 will be FREE 'Dance Party' open houses, to give newcomers a feel for what square dancing is like. 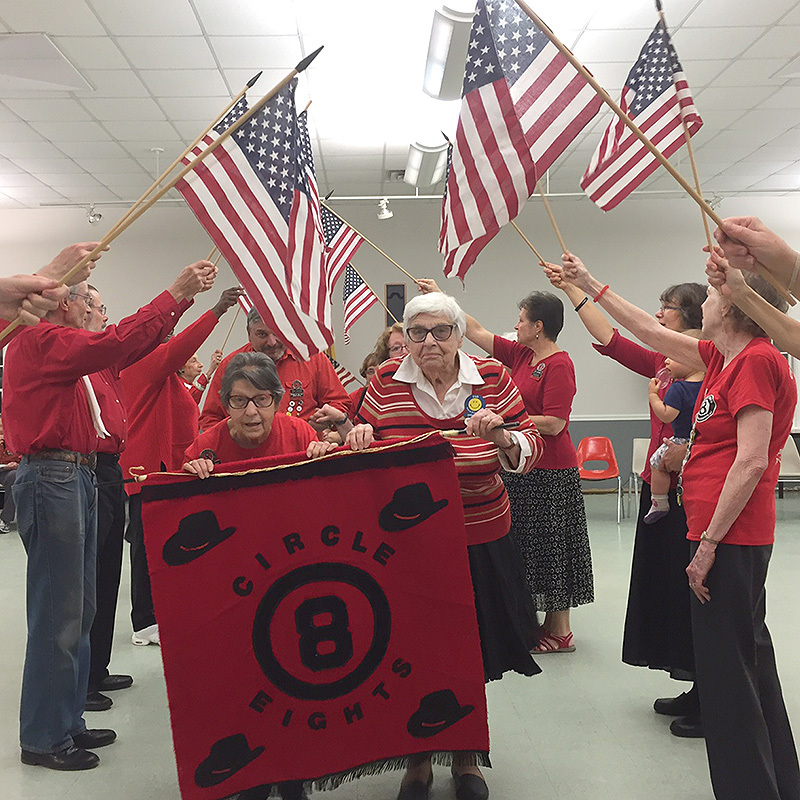 Circle Eights always has lots of club members who attend the beginners classes as 'angels,' providing extra dancers to fill out squares. Paul Ingis runs a lively and entertaining class - you'll enjoy yourselves while you're learning the common square dance calls. 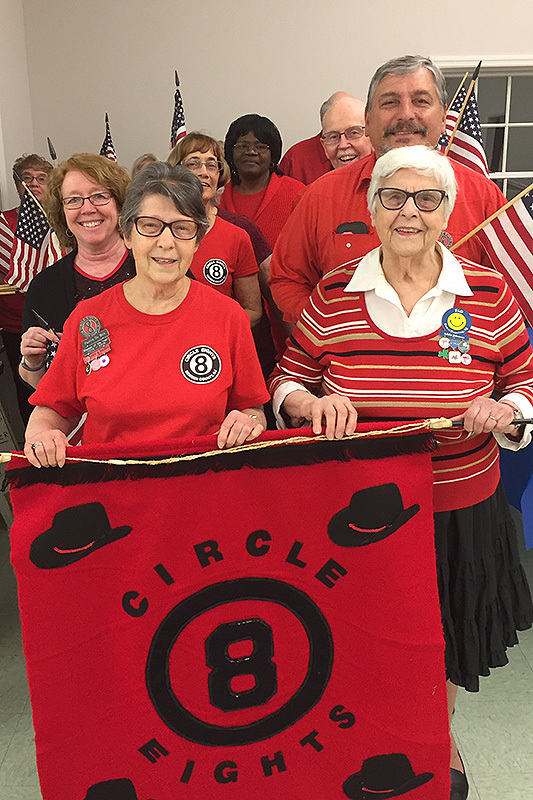 At the end of classes in the spring you'll be eligible to join Circle Eights as full members. In fact, you'll be welcome at square dance clubs all over the country (and the world) that do Mainstream Square Dancing. Our class is part of the Paramus Community School. For more information, or to register, go to its website, https://register.capturepoint.com/paramuspublicschools. Or you can call teacher Paul Ingis at 201-741-6050 for more information. 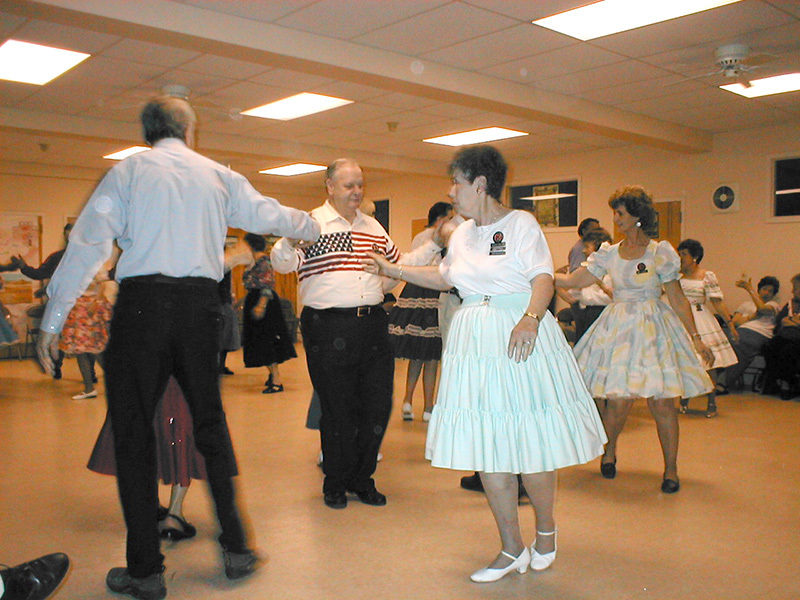 If you are new to square dancing: the basic dance unit is four couples facing each other in a square. Each dance has a 'caller' who tells the dancers what to do; there are about 60 'calls' in Mainstream dancing, which the caller can combine as he or she wishes. Music can be anything from current pop to classic country; again, it's up to the caller. You don't need special clothes or shoes; just dress comfortably. Bring a partner or come alone; there are plenty of people to dance with. No special ability is required: if you can walk fast, you can learn to square dance. Once you have mastered the Mainstream calls, there are advanced programs you can learn: Plus, A1, A2, and C1. Many Mainstream clubs include a few Plus 'tips' (sets of dances) and there are clubs that specialize in advanced dancing. 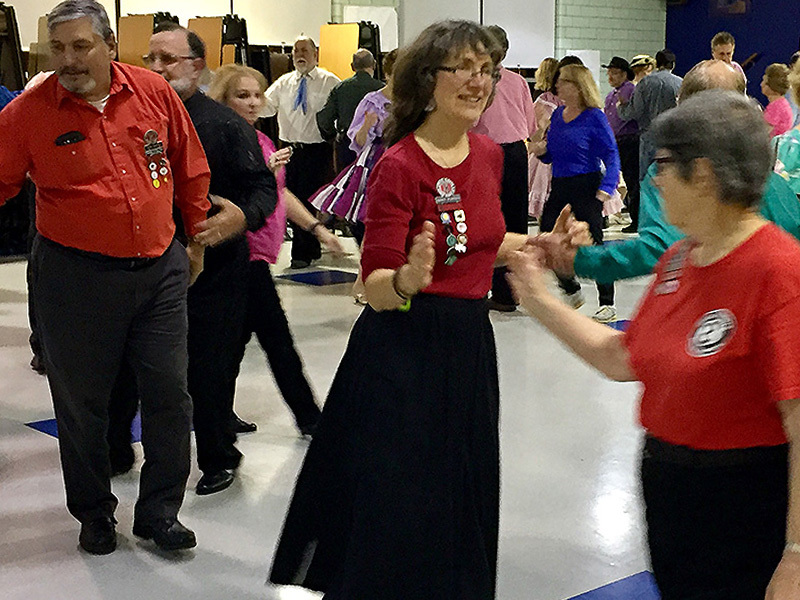 Sixteen clubs belong to the Northern NJ Square Dance Association, including one in Brooklyn and the Times Squares in Manhattan. One group, the Garden State Square Dance Campers, meets in various campgrounds for weekends that include square dancing. You can visit other clubs as individuals, or participate in 'raids' where a club visits another club officially as a group. There are lots of opportunities for enjoying what you've learned! 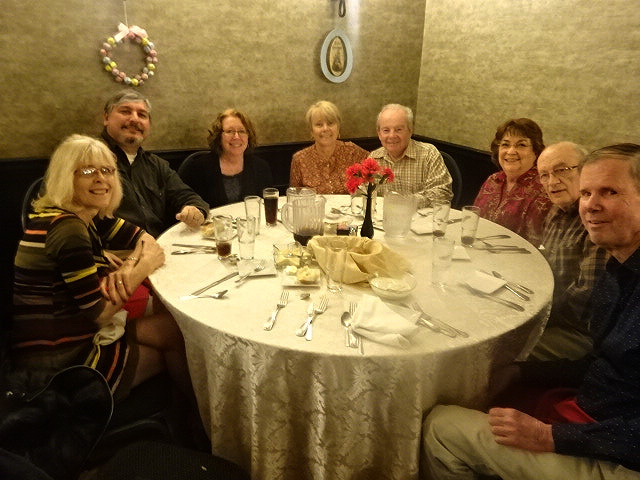 Most years our sister club, 'Western Wheelers/Hix & Chix', sponsors a Sunday afternoon Plus Class in Dumont, NJ, taught by Fran Wadel. Classes normally begin in September or October; for more information call Georgi Flandera at 973-427-2889 or email rgflandera@gmail.com. You must have completed a Mainstream Class to sign up for Plus. Callers Paul and Stephen Ingis dressed 'foolishly' for the April Fools Dance. 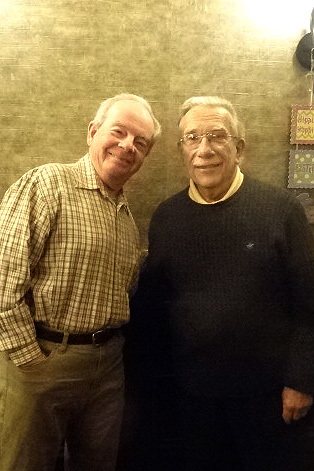 Former Circle Eights Caller and Teacher Andy Woerner. Circle Eights colors: red and black. Pauline and Addie, carrying the banner. Dinner in the city before raiding the Times Squares.